Airlines, Close the Gates! Ebola is Coming! It’s becoming more and more obvious that The American Health System in general is not prepared to safely treat someone with Ebola. 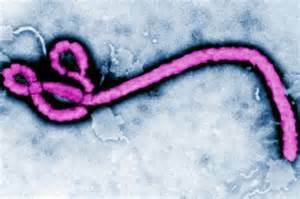 If there was a good supply of this mystery drug that cured the first Ebola patient allowed back in the United States it would be a different story but there isn’t and the CDC (Centers for Disease Control) is apparently playing a guessing game when it comes to Ebola virus containment. There needs to be a lot more research done in that area. In the meantime we are all at risk! More distressing than the Ebola patients that we know about are the ones we cannot identify. THAT will, eventually, unless serious and immediate changes are made, be the start of an epidemic that could easily ravage America and Americans. Right now, according to news reports, about 150 people a day are being allowed into this country from areas of the world where there is NOW an Ebola epidemic, based only on their body temperature when they get on and/or off a plane. That could be stopped in a “New York Minute” by President Obama — if he wasn’t (in this citizen’s opinion) such an incompetent fool. Since the President acts like he either doesn’t fully understand the risk or doesn’t care, the airline industry and the FAA need to step up to the plate. The airline companies themseves can cancel all flights from Ebola epidemic areas, to not do so is criminally negligent. Major International airports can refuse to allow these flights to land. They are risking their employees lives and risking their reputations by ignoring an obvious autonomous action that, if ignored, could and will start an uncontrollable spread of the Ebola virus. They don’t have to wait until the president makes a statement or signs a paper. If the FAA tries to block that from happening they will be committing virtual agency suicide. A sixth grader could easily figure out that the safest course of action is stopping international flights (and cruises) from these countries, until the CDC has more correct answers and workable solutions, that is that safest course of action. We as individuals can fight most of the problems caused by the Obama Administration, problems like crime caused by our shattered economy and by our lack of border security. For other problems they are causing the country we can go after the Administration legally (and also by voting many of Obama’s lap dogs out of office in three weeks) but the spread of a disease is almost completely out of our individual hands. Remember, Election day is Tuesday, November 4! It’s hard to know what to say about an organization like Wikileaks. On one hand, publishing classified information must certainly be illegal, but on the other hand, exposing illegal activity certainly shouldn’t be illegal; except, of course, when it puts people (the “good guys”) in danger. Right now, Wikileaks, in the name of journalism, focuses on nothing; it is throwing everything out there into the public domain, everything from classified government documents to private messages sent between private parties. Perhaps in today’s wired world it can be considered at least “new journalism” but it must also be recognized as “dirty journalism,” journalism devoid of ethics or standards. When it publishes, as it has, security procedures used at the United Nations and elsewhere, it potentially puts many people in danger in today’s terrorist infested world. When it publishes the tens of thousands of pager messages sent between friends and family on September 11, 2001, without permission from the parties involved, as it has, it steps way beyond any conceivable ethical journalistic standards. Perhaps “junk journalism” would be the best descriptor. Another consideration, and the one that concerns me the most, is the future of the Internet! The U.S. government is very upset! You can bet your 401K that the end result of Wikilinks will be new controls on the Internet, more government involvement in Internet operations and perhaps even laws that can punish bloggers (most of whom, who seem to consider themselves journalists) for what they publish in their blogs. I’m talking about censorship (or whatever they’ll choose to call it); we’ve witnessed it recently: a determined administration will do whatever the hell it wants without regard to public opinion. No, Wikileaks is certainly not a positive presence in either the world of journalism or the World Wide Web. Here’s a story lead from Politico: Washingtonians get ‘wee-weed up’? Ask me and I’d say they are spelling it wrong, that’s why they can’t Google it! Perhaps if they tried: “wii wii” ins tead of “wee wee “. Obama was obviously making a reference he heard from his daughters, who undoubtedly own a Nintendo Wii game system, refering to the almost hyperactive behavior that results from playing games on a wii game system. Aug. 21 (Bloomberg) — Unemployment rates rose in 26 U.S. states in July, a sign the labor market will take time to improve and budget crises in capitals across the nation may deepen. Well if you believe some of Obama’s harshest Conservative critics, maybe that was the expected result of his plan. Hurricane Bill is A-comin’. Right now experts predict that the powerful Hurricane named Bill will just miss Cape Cod and, on Sunday, will “slam” into the east coast of Canada. “Bill, with winds near 115 mph, will likely remain a Category 3 hurricane during the next 24 hours before weakening as it churns north over cooler waters before striking Nova Scotia. Michael Jackson is still being refrigerated somewhere while his family waffles over exactly when he should be buried. They know where: Forest Lawn Memorial Park in Glendale, California and they HAD a date; it was to be August 29, what would have been his 51st birthday but according to MTV.Com that date is changing because “the family needs more time to prepare.” One might wonder what exactly they are preparing for. If I were a patriarch of the family Jackson I would probably be in favor of holding a secret burial to avoid the mob scenes that will take place en route to the cemetery, at the cemetery and on the way back home. But I guess avoiding mob scenes is not a Jackson Family value. Aug. 20, 2009 –What A Day! When President Obama visited the UK he was quite a hit as evidenced by the ‘wall-to-wall’ news coverage but they, as well as us, have had a better chance to digest his policies and it seems to be common knowledge that Obama’s once brilliant aura is beginning to dim. (“lumpen salariat” those who are struggling to ‘move up’ in their careers). “It is no longer Republicans who are the problem about getting this package through Congress: it is Democrats. Even the American left balks at a socialist scheme for health care that would have had Nye Bevan shouting “Hold on a moment!” Your brainchild, Barack — enjoy. “American foreign policy is beginning very satisfactorily to fill the vacuum left by the Soviet Union. The Obama administration has set itself the objective of establishing Marxist regimes in the remaining democratic states of Latin America. I found this criticism from the other side of the ‘pond’ particularly interesting in light of the several articles in the last few days like this one that proclaims “U.S. 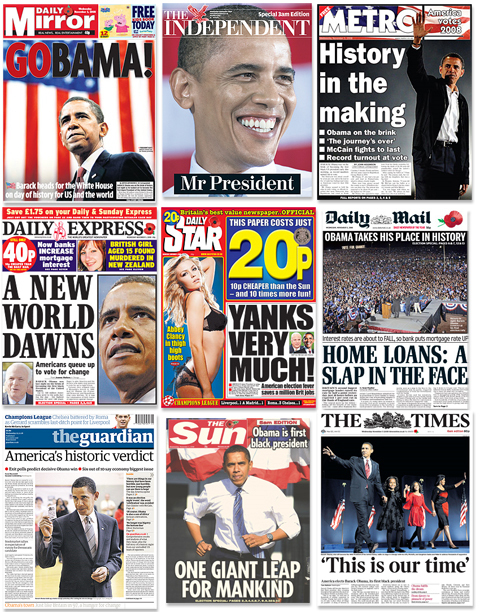 image abroad surges under Obama”. These articles point out that we are still a long way from being “popular” in the Muslim world but most of the rest of the world likes the US better under Obama than they did under George W. Bush. Well of course they do! Obama has been round the world telling everyone about, and apologizing for, all the “mistakes” we have made in the past and how we are now the friendlier, gentler nation. That must make those who think that Democracy is ‘obscene’, much happier. That must make those who have ambitions to destroy our Democratic system much more relaxed. I wonder, Mr. Warner, if we can survive another three and a half years! In May 2007, All of the facts that can be gleaned through the news media indicate that the OAS (Organization of American States) is acting irresponsibly. They have called the ousting of former Honduran President Zelaya a “military coup” when the facts clearly indicate that the Honduran Supreme Court ordered the military to remove Zelaya after he insisted on pushing for a referendum that could have removed the current one-term limit for the presidency and allowed him to run for reelection. “Mr Zelaya planned to hold a non-binding public consultation on 28 June to ask people whether they supported moves to change the constitution. This would in practice have meant holding a referendum at the same time as November’s presidential election on setting up a body charged with redrawing the constitution. Mr Zelaya’s critics said the move was aimed at removing the current one-term limit on serving as president, and paving the way for his possible re-election. The consultation was ruled illegal by the Supreme Court and Congress, and was opposed by the army. “. . . tension had been brewing in Honduras over recent months. Mr Zelaya sacked the head of the armed forces, who refused to give logistical support for the 28 June vote. The Supreme Court overruled him, saying the army chief should be reinstated. When Mr Zelaya insisted the referendum would go ahead, Congress voted to remove him for what it called “repeated violations of the constitution and the law”, and the Supreme Court said it had ordered the president to be removed from office to protect law and order. “. . . Mr Zelaya, who came to office in 2006, had been moving the country steadily leftwards, enjoying the support of Venezuelan President Hugo Chavez and other left-wing leaders in the region. This appears to have alarmed certain sectors in Honduras, who decried his plans for constitutional change as an attempt to stay in power. For his part, Mr Zelaya argued that the consultation on Sunday would merely have been a survey: a canvassing of public opinion, not a legally-binding election. He told the BBC that legal disputes and political differences were no excuse for staging a coup. So we have the Honduran Congress, the Honduran Military and the Honduran Supreme Court in one corner — doing what they felt was the right thing for the country — and in the opposite corner we have the OAS, Latin American dictators and almost all the other mostly socialist countries in the world, including our own socialist-leaning president Barack Obama, insisting that the Congress and the Supreme Court of a sovereign country were wrong and should bend to their will. Something about the whole thing stinks. Perhaps it’s Zelaya’s politics! “Despite his centre-right credentials, the former businessman moved Honduras away from its traditional ally the US, winning the support of Venezuelan President Hugo Chavez and other leftist leaders. Mr Zelaya campaigned for office on a law and order ticket but, Reuters news agency reports, it remains a major drug-trafficking transit point, overrun by street gangs and violent crime. “He pledged to tackle gang warfare and poverty in one of Central America’s poorest nations. But food prices rose and violent crime continued. Publicly backed by such leftists as Mr Chavez, Bolivian President Evo Morales and former Cuban leader Fidel Castro, Mr Zelaya began to lose the support of his own party. A plague of unkept promises, a burgeoning relationship with dictators and then a typical leftist move to stay in power after he would have been removed by the country’s Constitution. I do believe the current Honduran Government did the right thing. A New Cuba for a New Castro? Yesterday (3/31/08) one dream of many Cubans came true when Raul Castro did away with the laws that forbade Cuban citizens from staying in, or even entering, the island’s luxury hotels and resorts. Today more dreams are coming true! Starting on April 1st cubans can now purchase things like computers, plasma TVs, electric powered bicycles and cell phones; until today those items and many other imported consumer products were only available to companies and foreign tourists. What, you may well wonder, is going through Raul Castro’s head? By allowing these luxuries to those Cubans who can afford them he is creating the one thing that his brother Fidel was violently opposed to: an upper class of Cubans. At the same time he is taking a chance by making the poor Cubans — the vast majority of Cubans — feel even poorer. You have to believe that Raul knows what he’s doing and, if you believe that, you can forsee his next steps. The Cuban economy will be opened up to more foreign investment; he’ll make whatever moves are necessary to romance the Cuban American community (the cell phones were a good start); he will make efforts to resume full relations with the United States and most importantly, he will encourage new industry to come to Cuba. With new factories come jobs and with jobs come better pay and suddenly you have what you would never have seen under Fidel: a capitalist economy. The WHY of all this can only be answered with pure conjecture but to my eyes the reason is obvious: Raul realizes what Fidel never did: Cuba is another failed experiment in socialism and if that socialism does not go away, its only a matter of time until he does. Don’t hold your breath waiting for a truly democratic form of government in Cuba; Raul doesn’t want or need the end to his regime that a true democracy would bring. He knows that a capitalist economy can survive and even flourish under a benevolent dictator (he’s seen it in South America) and if Raul assumes that role of the benevolent dictator the New Cuba, while not perfect to American eyes, will be far, far site better than what was. Better for the Cuban citizens and possibly better for the United States. The political fancier: Cubans Go From Microwaves to Cell Phones, Can You Hear Me Now? Jordan Whitley: Good news Cubans: You can now vacation in Cuba? Whymrhymer’s P.O.V. can also be found at the Blogger News Network at the American Chronicle.